Dr. Sutro is a graduate of San Francisco State University, and has a Ph.D. from the University of Washington. He worked as a researcher at the University of California at Irvine prior to attending the New England College of Optometry. Upon graduation in 1990 he worked as an Optometrist in Spokane where, in addition to his in-office practice, he participated in a mobile eye care program providing vision care in nursing homes and prisons. In 1994 he purchased his current practice from Dr. Russell Bradley. 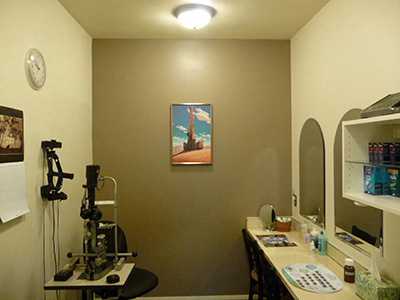 Dr. Sutro is certified by the American Board of Optometry. Dr. Sutro is married to Janet Sutro. Their daughter Bethany is a graduate of Whitman College and is currently studying for her Doctor of Psychology at Pacific University. 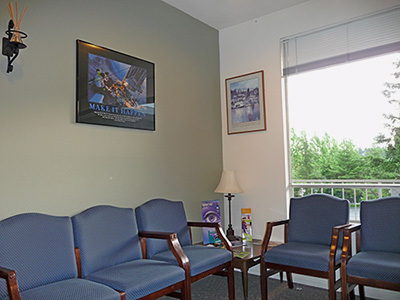 Dr. Sutro is a member of the Woodinville United Methodist Church, the Terrace Brier Lions Club, Toastmasters, the Kairos Prison Ministry, and the King County Optometric Society, where he served one term as president. 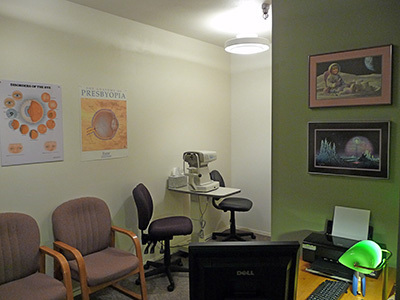 From 2001 to 2007 Dr. Sutro served on the Washington State Board of Optometry, and subsequently served a term on of the Board of Trustees of the Optometric Physicians of Washington. Kelly is an outstanding member of our team who "wears many hats", since she is knowledgeable about all aspects of the practice. She serves as Office Manager, Billing Specialist, and Frame Stylist as well as assisting in all other areas when needed. ​The mother of two daughters, Kelly is also the sister of Katherine, our Receptionist. She has worked for Dr. Sutro since September 2000, and her energy, enthusiasm, knowledge, ability, and outgoing personality make her a vital part of our office. Katherine, our Receptionist, is the friendly face who greets you when you come into our office, and the cheerful voice you hear when you call our office. She keeps the schedule up to date and flowing smoothly, assists patients with frame selection, and assists Dr. Sutro as needed. ​Katherine is Kellys' sister, and the mother of three daughters. She has worked here since September 2006, and has been a great asset to our office. 9:00 AM to 3:00 PM - PLEASE CALL FOR DETAILS.